Over the last few decades behavioral economics has revolutionized the discipline. It has done so by putting the human back into economics, by recognizing that people sometimes make mistakes, care about others and are generally not as cold and calculating as economists have traditionally assumed. The results have been exciting and fascinating, and have fundamentally changed the way we look at economic behavior. 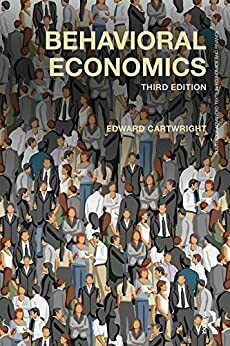 This textbook introduces all the key results and insights of behavioral economics to a student audience. Ideas such as mental accounting, prospect theory, present bias, inequality aversion and learning are explained in detail. These ideas are also applied in diverse settings such as auctions, stock market crashes, charitable donations and health care, to show why behavioral economics is crucial to understanding the world around us. Consideration is also given to what makes people happy, and how we can potentially nudge people to be happier. This new edition contains expanded and updated coverage of contract theory, bargaining in the family, time and risk, and stochastic reference points, among other topics, to ensure that readers are kept up to speed with this fast-paced field. The companion website is also updated with a range of new questions and worked examples. This book remains the ideal introduction to behavioral economics for advanced undergraduate and graduate students. Edward Cartwright is a Reader in Economics at the University of Kent, Canterbury, UK.